Andrea Beaman is a whole foods chef, food expert, inspirational teacher, television personality and the author of The Whole Truth, How I Naturally Reclaimed My Health and You Can Too! and The Eating and Recipe Guide – Better Food, Better Health. She has her own health and wellness show called Fed Up! and is the host of Wise Up! 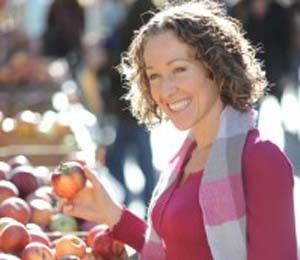 Andrea has successfully healed her “incurable” thyroid disease with a healthy diet, exercise and alternative therapies. She studied at the Kushi Institute, Institute for Integrative Nutrition, and in her own healing kitchen. Andrea was also a contestant on Bravo’s Top Chef (Seasons 1 & 5). Her website is andreabeaman.com.